Join your bear buddies and friends on remarkable and memorable BearCruise to Western Caribbean aboard the Premium Celebrity Equinox . 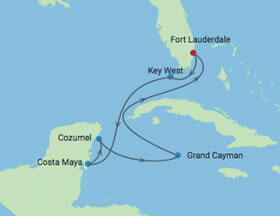 Explore the best of the Western Caribbean with BearCruise as we sail to four stunning islands. Enjoy exploring the crystal clear waters and underwater scenery of Cozumel, the gay friendly town of Key west, and swimming with the stingrays in Grand Cayman. This cruise inspires a feeling of getting away...way away. On a Caribbean cruise, life's a beach—actually hundreds—some long and straight, some tucked between cliffs, some brilliant white, some volcanic black. But our Caribbean cruises are more than beaches. Dive and snorkel coral reefs teeming with tropical fish—the Great Maya Reef is the largest living thing in the West. We'll take you climbing up waterfalls and descending into caves. Play golf on a lush green course, ride horseback through turquoise waters, and swim with friendly dolphins. We take history buffs to ancient Maya temples and Spanish colonial churches. Since pirate days, bargain hunters have come to trade. Today, cruises to the Caribbean include fashion and fragrances, designer jewelry and Mexican silver, Cuban cigars, even blue Delft figurines. Foodies love our Caribbean cruise vacations, where chefs fuse traditional dishes with local fruits for enchanting flavors. Enjoy mahi-mahi, grouper, kingfish, red and yellowtail snapper, and conch from the iconic shell. Get chicken, pork, and duck served fried, grilled, or roasted. For lunch on the go, grab some hearty empanadas, and in Mexico, don't miss the guacamole and margaritas. 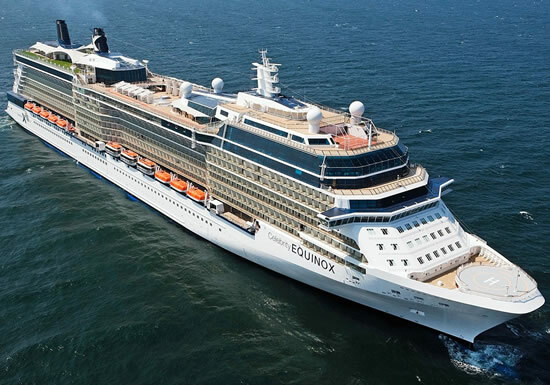 Celebrity Equinox has the most luxurious accommodations and amenities imaginable. The staterooms are spacious and comfortable, the guest services are phenomenal, and the ship itself is so sophisticated that you just have to see it to believe it. The ship features 10 different and titillating dining spots, and it even has grass lawns. 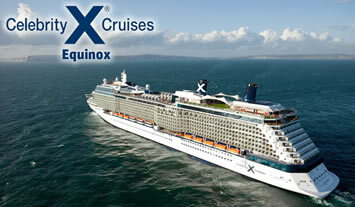 So get yourself ready for an unforgettable cruise trip, and step aboard Celebrity Equinox. 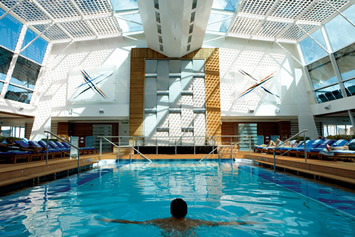 Celebrity Equinox is the home to a world-class spa. Indulge yourself with massages, exotic treatments, and aromas. The best part is - if you never want to leave the spa, the Equinox offers AquaClass - a unique new stateroom that shares a deck with the AquaSpa. You can have all your favorite spa elements included in your room. There is also the Lawn Club, a beautifully manicured lawn with fresh grass located outside on the deck. The Sky Observation Lounge offers a birds-eye view of the ship and its surroundings. Do not forget the onboard shopping, as well as the pool where you can relax and enjoy the sun. There are so many activities for everyone - including an amazing kids program that will have your children occupied for the whole day. Celebrity Equinox features 10 different restaurants. Choose from the regular dining options in the Silhouette Dining Room, with a great menu and all of your favorite foods, not to mention a two-story glass wine tower and chandeliers - or go for something a little different. The Tuscan Grille Restaurant is a great steakhouse and specialty restaurant – or head to the Murano Restaurant for a great multi-course meal. The Silk Harvest Restaurant has cuisines from all over Asia - choose from Vietnamese, Chinese, Thai, Indian, and Japanese. There is also the Blu restaurant, located in the spa deck - and it is exclusively for AquaClass guests that want a healthier fare. 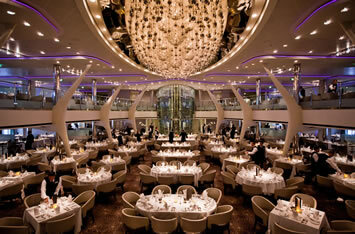 For an amazing evening on Celebrity Equinox, all you have to do is look around. 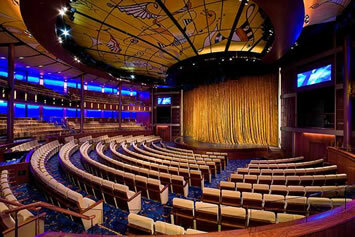 The ship has a nightclub, a casino, and themed bars and lounges. Visit Wine Masters, where you can sample and learn about wines from all across the globe. Head to Celebrity Central, and enjoy an evening full of comedy shows, a movie, and live musical performances. There is so much to do that you will not know where to start first. 04 Nov A Day at Sea! 08 Nov A Day at Sea! In the 1800s, William Lauderdale built a fort. Today, 16 million visitors come each year for miles of broad white sandy beaches, dozens of lush green golf courses, and Caribbean cruises from Fort Lauderdale. Stroll the famous beachfront promenade, just 15 minutes from the port, and plunge into the warm Atlantic. Head downtown to Las Olas Boulevard, paralleling New River, to sip lattes in outdoor cafés, shop chic boutiques, and catch concerts at the performing arts center. Stop at Stranahan House, the city's oldest structure, built in 1901 as a trading post and preserved as a museum, or explore a whole village of historic buildings at History Fort Lauderdale. Join a Segway tour along the river or a waterborne cruise of Millionaire's Row. Spain, Cuba and the Bahamas inform this cultural potpourri – not forgetting key lime pie! Snorkel at Coral Reef State Park, or visit Hemingway’s house to see descendants of his 6-toed cats. Best known for its tropical jungles, idyllic beaches and translucent lagoons, Costa Maya is a dream destination for outdoor recreation. You'll find everything from snorkelling to jungle treks. Costa Maya boasts beautiful beaches on the Caribbean Sea, which is ideal for divers and snorkelers alike who enjoy exploring the beautiful Banco Chinchorro coral reef that lies just off the coast. History buffs will surely love exploring the lesser-known Mayan ruins, Cacchoben and Kohunlich; meanwhile there's something for everyone at the new shopping mall, which, while great for shopping, also features a central plaza with saltwater pools and 'swim-up' bars. The ‘Island of Swallows’ is as rich in Mayan culture as in wildlife. Glass-clear waters around coral reefs offer you a world-class encounter with majestic eagle rays. Amid the largest coral reef in the West, this Caribbean island lures anglers, divers, snorkelers, and beachgoers. Fish the flats or head out to blue water to hunt for big game—mahi-mahi, marlin, sailfish, and more. Bring your dive card with you on your cruise to Cozumel and witness all the natural wonders waiting below the surface, like neon tropical fish, swaying sea fans, and vibrant coral colonies. Or, go snorkeling to see the show without a dive card. Curl up on the beach in a hammock with a cold one. At Playa Mia, you can even fly down Twin Twister waterslides. 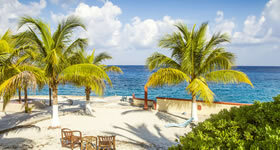 Grand Cayman’s largest island is the perfect spot to soak up the sun and unwind. At Stingray City, you can snorkel, scuba dive, or handfeed friendly stingrays. 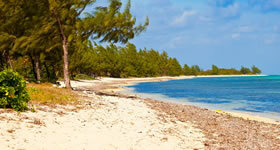 No destination blends global finance with the Caribbean lifestyle quite like the Cayman Islands. This upscale destination offers world-class restaurants, designer boutiques, and duty-free shopping, plus white sand beaches, brilliant blue waters, and teeming coral reefs. Enjoy postcard views of George Town, Seven Mile Beach, and West Bay from the custom-designed Cayman Explorer. You can step down easily into shallow waters to interact with the welcoming stingrays. Taxes of $130pp, and optional insurance are additional. A deposit of $380 per person is required at time of booking. Final payment is due 90 days prior to sailing. Single Share Traveling solo but don't mind sharing a cabin? Ask about our cabin share assistance program. GO Big! Book an Oceanview stateroom or higher and get your choice of two of the following: complimentary Classic beverage packages, complimentary gratuities, unlimited onboard internet packages, OR an onboard credit of $300 per stateroom! GO promotions are capacity controlled and offer may be withdrawn at any time without prior notice. Also included are the traditional BearCruise activities, subject to minimum participation. Web Page © Happy Travel, Ltd. Logos and Images © RSVP Productions Inc., Atlantis Events Inc., BearCruise, etc.